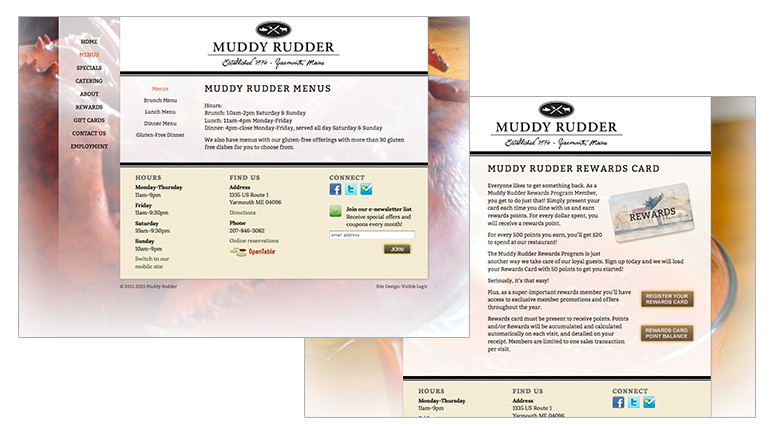 When the landmark Muddy Rudder restaurant changed ownership, the new owners wanted to signal change and update their look with a complete re-branding. Visible Logic started with a more fresh, hip and clean logo. 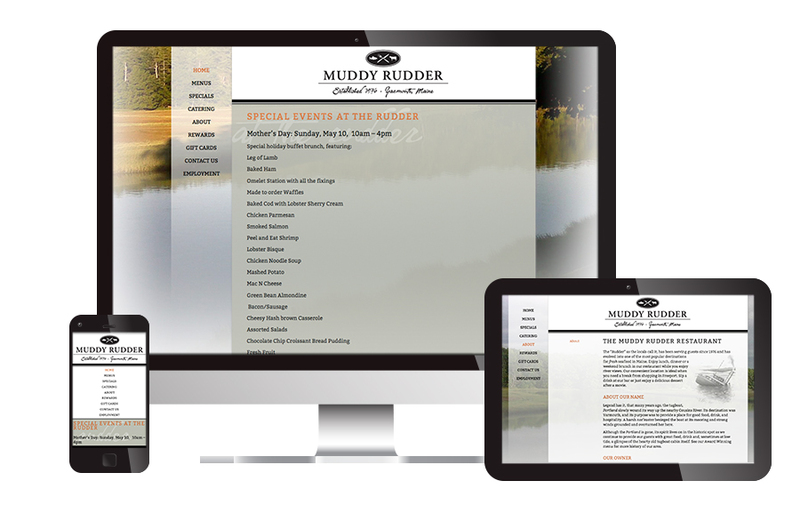 As part of a re-branding of the landmark restaurant, Visible Logic developed a web site and mobile site version for the Muddy Rudder. Also, Visible Logic writes, creates and sends their e-newsletters.